Lots going on again this week, though the outside painting has been held up waiting for more paint. 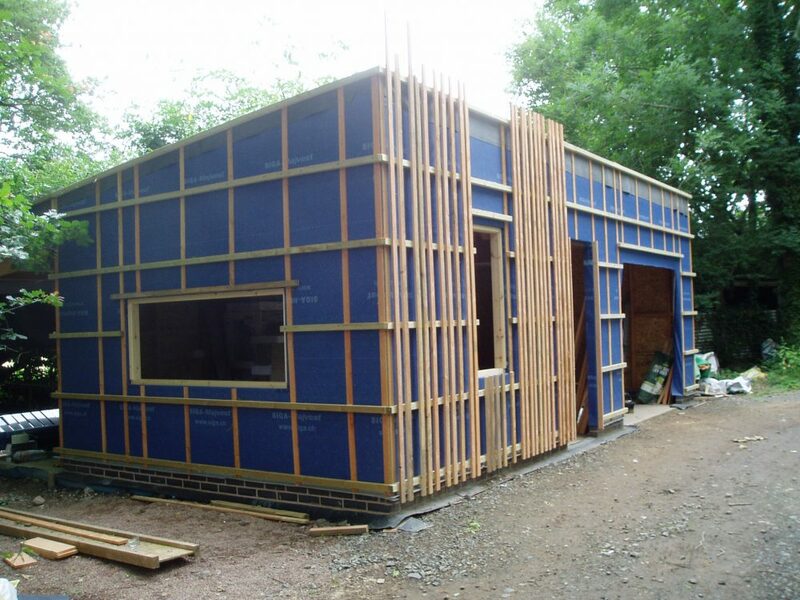 The garage now has window frames and the back layer of the cladding has been started. Inside, the kitchen units are now up on the walls, though the appliances, doors and drawers are still to be added. 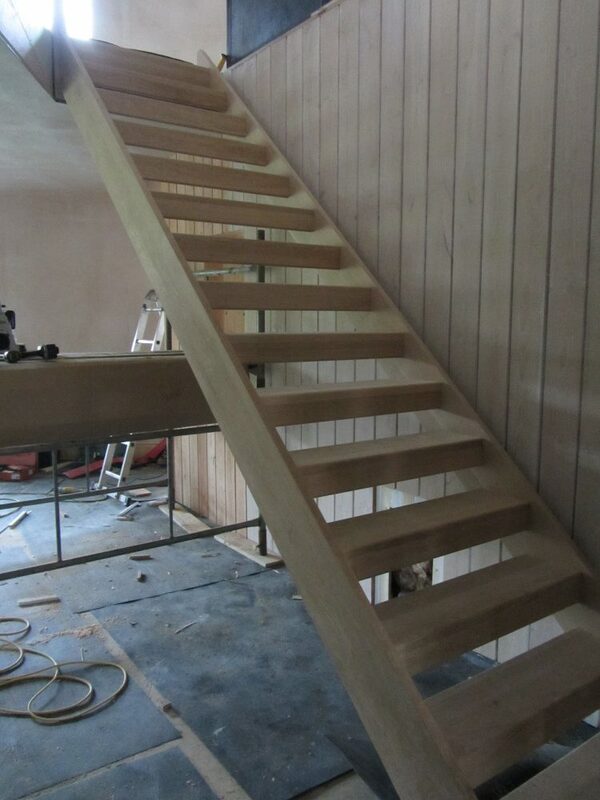 But visually the biggest difference has been the arrival of the oak staircase. The handrail and glass panels will be added in the next couple of weeks.